The History of EVA Association | Ассоциация Е.В.А. How did EVA Association come about? In 2009 and 2010 a great number of non-profit organizations existed that worked on various types of prevention of HIV infection and that provided medical and social assistance for women from vulnerable groups. Specialists from non-profits understood that in the regions there were a multitude of unsolved problems, problems which had many similarities. Fortunately, activists from around the country communicated with each other. This led to the emergence of the idea to create a non-profit network organization, which could unite women-leaders from all the corners of Russia. And so, from the active communication among future members of the EVA Association network arose settling the issue of Svetlana Izambaeva of Kazan regarding guardianship of her brother, which by law prevented her from taking him from the orphanage due to her HIV-positive status. Everyone was following the outcome of the story on social networks and listservs. And everyone rejoiced over the small and big victories, when Svetlana was finally allowed to take her brother! The issue of prohibiting guardianship and adoption as well as other issues for women living with socially significant diseases were voiced periodically at various regional, federal, and international events. However, a united vision and systematic format were lacking in presenting these ‘women’s issues’. The activists wanted to build a structure for this work, to make it permanent, and to bring forth the issues of women to the federal level, to build a bridge between the officials from the government and women-activists working with the topic of HIV. The main idea for the network’s creation was to represent strong activists who are knowledgeable of the issues “from the inside” and can clearly explain them at the federal level, in which case a strong voice from community simply cannot remain unnoticed. The official registration of EVA Association took place in December of 2010. Prior to that moment a colossal amount of work had already been done: searching for and motivation of the first ‘unofficial’ members of the network, strategic planning of the activities, deciding on a title, determining the direction of development, and coming up with a PR campaign. Alexandra Volgina, Anastasia Soloviova, Olga Timofeeva, Karina Vyakhireva, Alina Maksimovskaya, Svetlana Izambaeva, Svetlana Prosvirina, Anna Dubrovskaya, Natalia Sidorenko, Alexander Ezdakov, Nikolai Nedzelski and others all played huge roles in creating and establishing EVA Association. Starting in 2010, following the story of Svetlana Izambaeva, massive work on numerous levels was done regarding changing the government decision that limited the guardianship rights of HIV positive people and people living with viral hepatitis. Since 2011 we have been monitoring the situation relating to the provision of breastmilk substitutes. For over four years we have been conducting systematic work on monitoring the situation and improving the access of drug dependent pregnant women to medical support during pregnancy. The issue of HIV/TB co-infection holds a prominent place in our work as well as advocacy for the access to HIV treatment. — Since 2011, 4 strategic planning sessions on the activities of the network have been held. Currently the strategic plan until 2017 has been developed and confirmed. — May 2011: Representatives of EVA Association network presented on the issues of ‘invisible women’ and proposed solutions at the European regional HIV conference ‘Unity and Diversity’ in Tallinn. This campaign was highly regarded by the conference participants. At the presentation, a group of women appeared in masks and voiced the problems of women in our region which are typically silenced. Society itself ignores them, seeing neither the women nor the problems. — June 2011: EVA Association network was presented at a meeting with the Executive Director of UNAIDS, Michel Sidibe, and regional Director at the Moscow office of UNAIDS, Denis Bruno. — October 2011: Proposal to take part in the Ministry of Health and Social Development’s working group on the development of events for the federal program to combat HIV-infection. Experts from E.V.A. represented women and children affected by HIV-infection in the RF. — October 2011: Participation in an international forum on the millennium development goals held in Moscow on the 10–12 of October, 2011, with the aim of strategic discussion of the approach to fulfill millennium goal number 6 in Eastern Europe and Central Asia. Women, girls, and HIV were panel discussion topics that were moderated by UNAIDS Goodwill Ambassador James Chau. The discussion was initiated by Alexandra Volgina, EVA Association activist, who spoke of the main problems that women and girls affected by HIV face in the region. Women living with HIV started a campaign with the slogan ‘Healthy babies start with mothers! Invest in Women!’ at the forum on millennium development goal number 6. — March 2013: Presentation at the Consortium of Women’s Non-governmental Organizations and participation in the Russian national conference on gender awareness as a tool for interaction between NGOs and all levels of power. E.V.A.’s participation in this event was a landmark in terms of expanding horizons and self-promotion among the country’s NGOs. — November 2014: On the 24th of November, 2014 the first Russian forum on Women Combatting HIV was held in Moscow. It was organized and led by E.V.A. The following took part in the event: L.A. Dementieva, Deputy Head of the Department of epidemiological surveillance at Rospotrebnadzor, E.E. Voronin, MD PhD, professor, head public specialist of the Ministry of Health in the RF on the issues of diagnostics and treatment of HIV infection, N.N. Ladnaya, senior researcher at the Federal Scientific-Methodical Center on the Prevention and Combat of AIDS in epidemiology at Rospotrebnadzor, and V.V. Brezhneva, UNAIDS Goodwill Ambassador. — June 2015: EVA Association Board member Natalia Sidorenko presented a report The Other Patient Syndrome as part of the scientific-practical conference on relevant issues in preventing transmission of HIV-infection from mothers to children, which was the result of a three-year long project relating to pregnant drug addicted women. — August 2015: Director Julia Godunova spoke at the Russian Educational Youth Forum ‘Terra Scientia on the Klyazma River’ alongside the Head of Rospotrebnadzor, Anna Popova. — December 2015: EVA Association celebrated 5 years of activity. — If you could return to the beginning, what would you change? — A dynamically developing organization that is continuously making progress. The network has proven to be necessary and important, viable, and innovative. — What advice do you have for EVA Association? — Take part in the work on serious documents at the federal level, take up opportunities to initiate and participate in creating change in the approach to curbing the epidemic. Put a stronger emphasis on preparing speakers and experts for working at high government levels, promote the work and results more. Don’t be shy to talk about achievements. Strengthen partnerships with other non-profits and create coalitions. New faces are needed. — I would have spent more efforts to attract allies, developed horizontal connections, strengthened the position in the civil society sector. It seems to me that advocacy efforts for many issues could be more successful if there was more interaction between civil society, organizations working in the field of maternity and childhood, and women’s rights, and if the understanding of the issues related to HIV infection were more widespread. This would allow for deep, lasting change to be achieved. Many of HIV positive women’s problems remain unsolved due to stigma, a lack of understanding and preconceptions about HIV. I would have developed the horizontal development of the organization itself, work in the regions, education, development of people and organizations locally and act as a backbone and support for them. This would have allowed for us to have avoided many crises and difficulties that arose. — Start to find new partners, new allies, and to establish horizontal links with other related sectors. This can help to attract additional resources (both in terms of people and funding) and can fulfill the advocacy goals of the organization. Development and balance is what I can advise as a slogan for E.V.A. in the near future. — I remember that when I ‘took the reins’ of the network, I cried. In part from joy, and in part from recognition of the sheer scope of responsibility which stood before me. Because EVA Association isn’t simply a non-profit with an office located in Saint-Petersburg. It is a national network of activists and specialists working in the field of providing support for women who are affected by socially significant diseases. 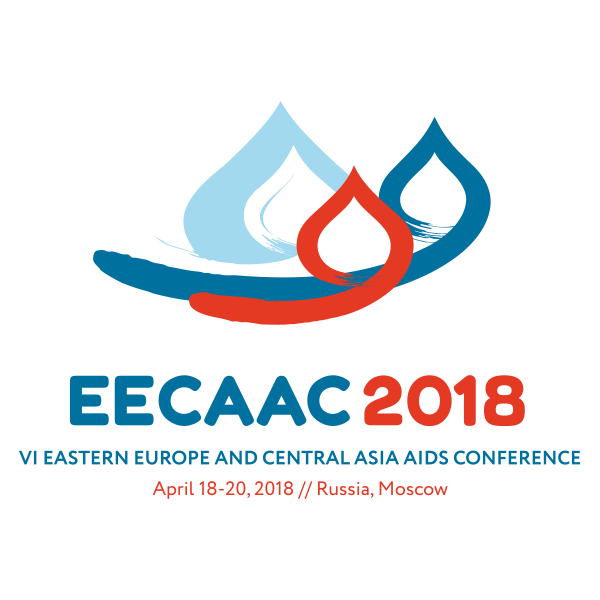 There are already over 50 of us and we are active in 23 regions across Russia, and governmental agencies listen to our opinions such as in cases of creating a national strategy to combat HIV in Russia. But I agree with Nastya and Sasha – we have plenty of room to grow and if this growth continues at the same pace as it has in the past five years, it will be a fantastic example of success that models how non-profits and the government can interact even in challenging economic and political times.